I read a forum a couple weeks ago about a woman, not much older then me, who is a type 1 diabetic and also about 6 months pregnant. She had been discussing whether to listen to her endocrinologist (diabetic doctor) about her blood sugar levels, or listen to her OBGYN. 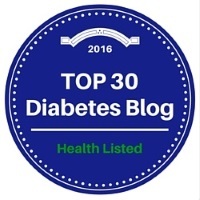 Her highest blood sugar level was 150mg/dL, with an average sugar level of about 90mg/dL. While reading this girl’s discussion, I had to think back to my sister who had ‘borderline’ gestational diabetes while pregnant with my nephew. She called me numerous times to ask questions about where her blood sugars should be. I told her that my doctor suggests I have a blood sugar level of 80-150mg/dL. However during pregnancy, blood sugars should be even lower to avoid the baby being very large at birth and it’s blood sugars rebounding after birth. At six months along, her blood sugar level was 230 mg/dL. In my opinion, that blood sugar level is high for someone who is pregnant, but my sister’s doctor said that was “OK”. I wasn’t about to argue that. I thought back to the girl from the forum, and how she is one lucky gal to have so much control! I was glad to see she had been doing well while being pregnant. I was very confused to discover that her OBGYN yelled at her saying “with blood sugars spikes like that, she will end up harming her unborn child!” Her endocrinologist told her she was doing well in keeping her blood sugars maintained, and that her baby should be fine. Her story goes to show you how different doctors look at a situation. My sister’s doctor said she was good at 230mg/dL, yet other doctors yell about a blood sugar of 150mg/dL? Some people have quite the nerve! If (in years from now), an OBGYN was to yell at me for a blood sugar level of 150 mg/dL, I’d immediately find a new doctor who specializes in high risk pregnancies… if I didn’t have one already. The fact of the matter is, you need to have the best control possible while getting pregnant and while being pregnant with diabetes; whether it be type 1 diabetes, type 2 or gestational diabetes. In my opinion, I would listen to the endocrinologist rather than the OBGYN about good blood sugar control. Before my sister gave birth, doctors estimated my nephew would be about nine pounds. Women with higher blood sugar levels tend to have larger babies. At birth, he was a healthy baby who weighed 8 pounds 6 oz. There is no certainty that he was larger at birth because of his mom’s higher blood sugars, or if he was just a big guy to begin with, but one this is for sure, he’s the cutest little nephew I could ask for!